Who was Dr. Gonstead? 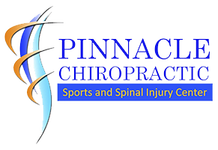 Our focus at Pinnacle Chiropractic is locating and reducing areas of nerve pressure in the spine caused by misaligned vertebrae in the spinal column. These misalignments, referred to as "vertebral subluxations", interfere with the communication between the brain and all areas of the body. For some patients, the decompression and restoration of normal nerve flow provides relief from pain. For others, it begins the healing of organs that have been functioning suboptimally for years. These patients recognize that chiropractic care, just like exercising, is simply part of a healthy lifestyle. The man was Clarence S. Gonstead. He became a chiropractor in 1923 following a personal experience with chiropractic that had helped his body heal from a painful, crippling episode of rheumatoid arthritis. With a background in mechanical engineering, he would come to apply the principles of this discipline to the evaluation of the spine. As part of a life long study of the spine, he would often fly his private plane to Indianapolis to dissect, study, stain, photograph and then reconstruct cadaver spines at Lincoln Chiropractic College. Based on his studies, he developed the "foundation principle" to explain how a fixation in one area of the spine created compensatory bio-mechanical changes and symptoms in another. He was a pioneer in the chiropractic profession, developing equipment and a method of analysis that used more than one criteria to verify the precise location of vertebral subluxation (A subluxation is a spinal bone that is fixated or "stuck" resulting in nerve pressure and interfering with the innate ability of the body to maintain health). His approach is often summarized by the phrase he coined, "Find the subluxation, accept it where you find it, correct it and leave it alone". The common sense evident in his work is further summarized in another phrase that he often used: "If it ain't broke, don't fix it." Gonstead represents the ultimate standard in "hands on" spinal adjusting and remains the leader in chiropractic techniques. Adhering to the definition of true chiropractic as defined by D. D. Palmer, the founder of Chiropractic in 1895, Dr. Gonstead found there was no substitute for or better method than using a pair of skilled chiropractic hands to analyze and correct spinal misalignments. This remains true today. The certified Gonstead practitioner is well educated in the teachings and application of this tremendously successful technique and case management system. Beyond the eight years of chiropractic and college education required to become a Chiropractor, followed by national and state board licensing requirements to be a practicing Chiropractor, the Gonstead practitioner has spent additional time attending Gonstead Seminars to help perfect their application of chiropractic within the Gonstead System.